It has been reported that despite reporting by the intelligence sections, the government did not take protective measures and the responsibility for the utter negligence should be borne not by one section but by the whole government including the cabinet says the Information Secretary of the JVP Vijitha Herath speaking about the brutal bomb attacks that were carried out at different places in the island yesterday (21st). 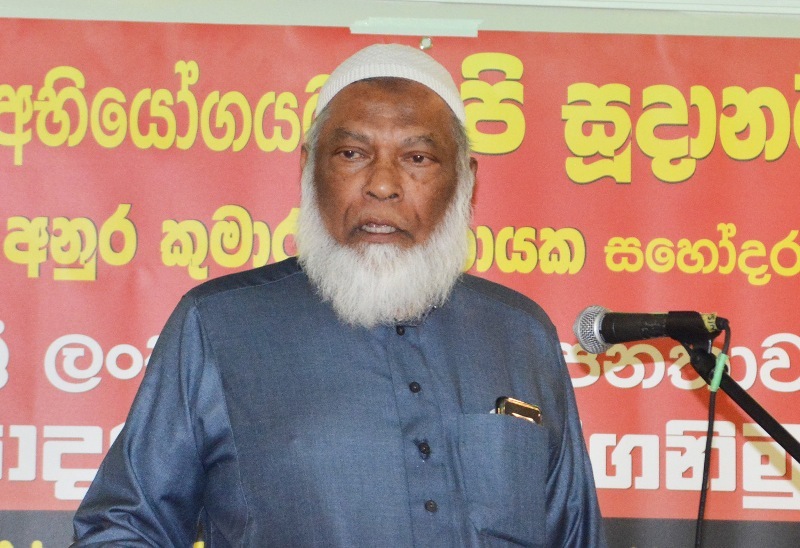 He said this speaking at a press conference held at the head office of the JVP at Pelawatta today (22nd). The attacks carried out yesterday were barbaric, inhuman acts and swift legal action should be taken against all those who were involved in such attacks said Mr Herath. He emphasized that using the attacks to carry out various political agendas and slander each other should be stopped immediately. 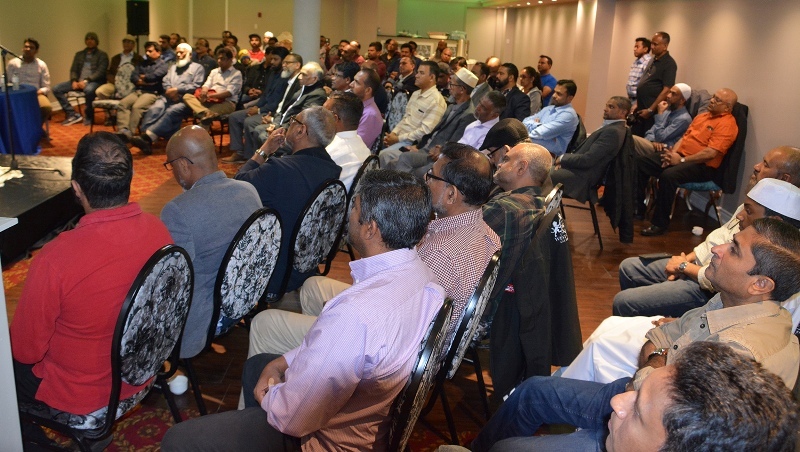 Mr Herath pointed out that all those who died in the barbaric attacks were ordinary people and no one was involved in the ongoing political struggle in the country. He said All Sinhalese, Tamil, Muslim, Malay and Burgher masses who live in this country should rise up as Sri Lankans against the barbaric act. He said although officials involved in national security had warned about such a situation, the rulers had not paid attention to such warnings and added that rulers carrying out their affairs only regarding their power interests contributed to the pathetic situation the country and the people have been subjected to. The cowardly and barbaric attacks, carried out with whatever intention, targeting civilians today in several places in the island should be condemned and detested states the JVP in a statement issued by its Political Bureau. It states it is the responsibility of the government to hold a prompt inquiry regarding the incident, reveal the truth to the country and take legal action against the perpetrators and adds that it is also the responsibility of the government to prevent any distress that would occur in the country due to the incidents. It is reported that nearly 140 people have been killed and more than four hundred people injured in explosions that occurred today (21st) in several places including three Catholic Churches in the country. These cowardly and barbaric attacks, carried out with whatever intention, targeting civilians should be an action that should be condemned and detested. Hence, we detest and strongly condemn this cowardly and barbaric attack. It is the responsibility of the government to hold a prompt inquiry regarding the incident, reveal the truth to the country and take legal action against the perpetrators. It is also the responsibility of the government to prevent any distress that would occur in the country due to the incidents. Also, we call upon all Sri Lankan masses not to engage in conflicts based on this incident and not to be a party if the incident is used to create communal and religious clashes. Lastly, we again condemn the barbaric attack with detest, offer our deepest sympathies to the relatives and loved ones of those who died in the incident and wish speedy recovery for the injured. 138 persons have been reportedly killed while 402 sustained injuries in these explosions that occurred at 6 places in the island. 45 bodies of victims have been placed at Colombo National Hospital while 62 bodies of victims in the explosion at Katuwapitiya Church are placed at Negombo Hospital. There are also 27 bodies of people died in Batticaloa Church blast in Batticaloa Hospital and 7 more victims of the explosion are at Ragama Hospital. The explosions occurred at Kochchikade Church in Kotahena, Katuwapitiya Church in Katana, a Church in Batticaloa, Shangri-La, Cinnamon Grand and Kingsbury hotels in Colombo. Meanwhile, all government schools in the island will be closed on 22nd and 23rd of April according to the Ministry of Education. The decision has been taken considering the six simultaneous explosions that occurred at three churches and three hotels today (21st) morning. (2nd edition) It has been reported that 40people have died in Colombo, 62 have been killed in Negombo and 23 have died in the explosions in Negombo. Several explosions have been reported from several places in the island this morning. Accordingly, explosions have occurred in St Sebastian’s Church at Kochchikade, Kotahena, a church at Katuwapitiya in Katana Police Division, and a church in Batticaloa. Explosions also shave been reported from Shangri-La Hotel, Cinnamon Grand and Kingsbury Hotel in Colombo. According to information from Colombo National Hospital, more than 150 injured people in the explosions have been brought to the hospital and 45 deaths have been reported. In the explosion at Batticaloa, more than 300 have been injured say reports. The current electricity crisis is not due to any hydro-electric crisis or weather conditions but the President and the government do not reveal the real reason for the crisis states the Member of the Political Bureau of the JVP Parliamentarian Sunil Handunneththi adding that the real reason for the crisis is the electricity mafia that controls the electricity center. 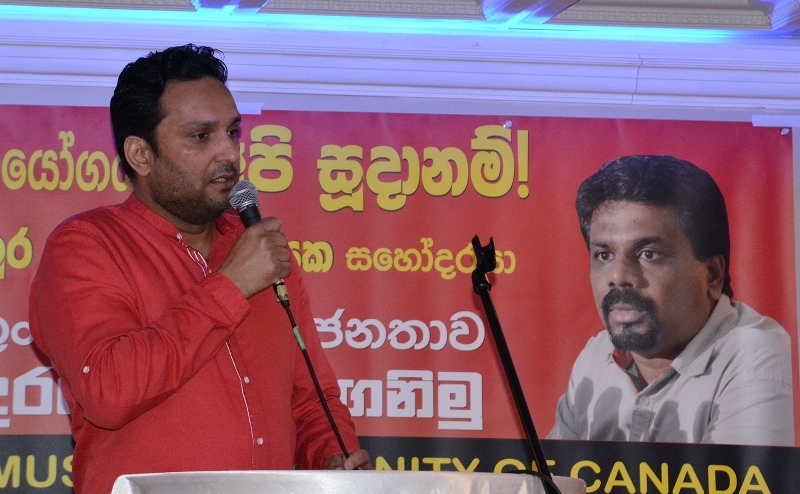 Mr Handunneththi speaking at a press briefing held at the JVP head office at Pelawatta today (3rd) said among the electricity fraudsters are close relatives of the President. He said the Public Utility Commission had predicted the present electricity crisis in 2016 and had prepared ‘Electricity Supply 2020 and Beyond’, an electricity generating plan. However, Ceylon Electricity Board did not take any notice of this plan revealed the JVP Parliamentarian. Had the CEB paid attention to the report of the Public Utilities Commission they need not have bought ‘emergency’ electricity at the rate of Rs.35 a unit pointed out Mr Handunneththi. There would have been the possibility of calling for tenders and buying electricity at Rs. 5 to Rs.10 per unit said Mr Handunneththi. 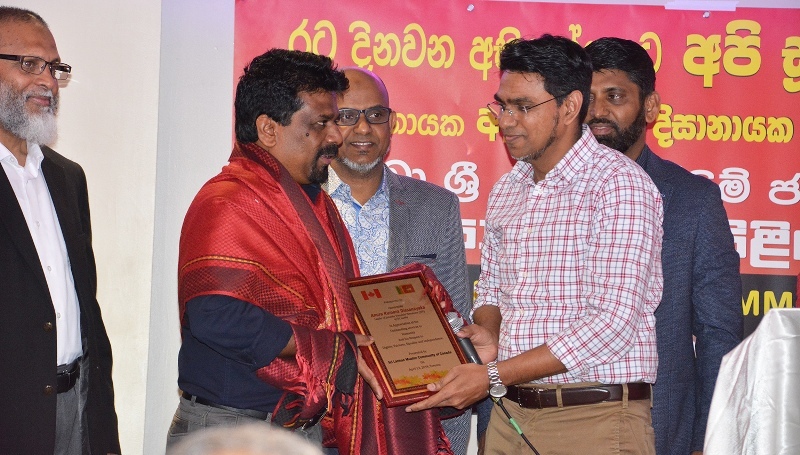 The Member of the Central Committee of the JVP Wasantha Samarasinghe was also present. The authorities in the country have not been able to bring former Governor of the Central Bank before courts despite the 27th of this month completes 4 years since the Central Bank scam says the Chairman of the Committee On Public Enterprises (COPE) Sunil Handunneththi. He said participating in a press conference arranged by Voice Against Corruption (VAC) yesterday (24th). He said despite an investigating commission was appointed by the President the report has not been properly made available to Parliament or has not been published for the appraisal of the public said Mr Handunneththi. He said legal action should be taken immediately against Arjun Mahendran, his henchmen and also politicians involved in the scam. He said people could be satisfied only by recovering the defrauded money and taking legal action against the culprits. He said President’s talk about opposing corruption is like papaw trees that bloom but do not bear fruits. He said the President makes big talk about eradicating fraud and corruption but nothing happens. Arjun Mahendran who was involved in the Central Bank scam is absconding and the authorities have not been able to take legal action against him even after 4 years pointed out Mr Handunneththi. 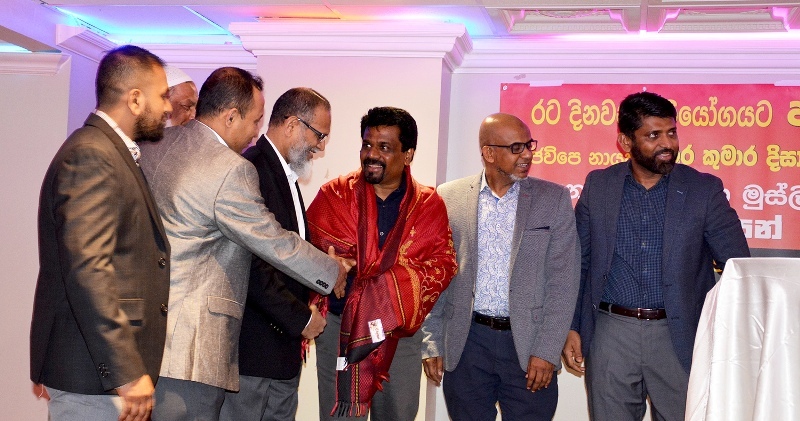 The UNP is engaged in a shameful exercise to increase the number of cabinet ministers on the pretext of forming a ‘national government’ says the Information Secretary of the JVP Vijitha Herath. Speaking at a press conference being held at the head office of the JVP at Pelawatta today (1st) Mr Herath said the UNP is attempting to wriggle through a loophole in the Constitution by uniting with SLMC which has only one MP in Parliament to form a ‘national government’ so that the number of ministers in the cabinet could be increased. Mr Herath pointed out the whole exercise is not to serve the country and the people but to gain more power to carry out their agenda unhindered. Handing over the post of the ‘Leader of the Opposition’ to the UPFA is correct says the Leader of the JVP Anura Dissanayaka. Mr Dissanayaka says the post of the ‘Leader of the Opposition’ belongs to UPFA as it has pulled out of the national government. As the UPFA had been a part of the government earlier they were denied the post of the ‘Leader of the Opposition’ said Mr Dissanayaka. He pointed out that during the 2002 – 2004 period of Ms Chandrika Bandaranayake’s government the post of the ‘Leader of the Opposition’ was given to the UPFA. As Mr Mahinda Rajapaksa is not the Prime Minister in the country he should stop using privileges reserved for a prime minister and similarly Mr Ranil Wickremesinghe should leave from the Temple trees as he too is not the prime minister of the country says the Leader of the JVP Anura Dissanayaka. He said this addressing a press conference convened in Parliament by the group of JVP Parliamentarians yesterday (19th). Speaking further Mr Dissanayaka said, “Mr Maithripala Sirisena has entered into a new matrimony to realize his presidential dream. An autocratic government has been set up in the country. This government doesn’t have the majority in Parliament. As a result, an anarchic situation exists in the country. Two no-confidence motions were passed against this despotic government. What the President should have done was to appoint a new prime minister and a government. He didn’t do it and all conflicts that have been created is due to the arbitrary and wrong decision of the President. The country became unstable due to the power struggle of two individuals. The standing committee should be appointed according to the composition in Parliament. The government expecting the majority in this committee without having a majority in Parliament is not proper. It is not justifiable. They have no financial power in Parliament. This clique has grabbed power for extra-parliamentary affairs. They want to sweep under the carpet cases filed against them for committing murders, frauds and corruption. The attempt to immediately transfer CID IP Nishantha Silva was due to this need of theirs. This is why the perpetrators have taken over the Attorney General’s Department. We would bring a motion to stop allocations for the Prime Minister’s office. The Speaker has decided to consider this motion on the 29th. The no-confidence motion will be presented on the 29th and a division shall be taken by the Secretary-General asking each Member separately. If they do not have the majority they will have to accept defeat. Finances for the Prime Minister are allocated by Parliament. The Ministry of Finance cannot allocate any funds on orders from the Prime Minister or the minister. Mr Ranil Wickremesinghe too is not the Prime Minister at present. He should vacate Temple Trees. Ranil and Mahinda are only Members of Parliament. Mahinda should stop using government helicopters. We condemn the chili powder attack on police officers in parliament. It was a barbaric act. These people who carried out the attack are not fit to be members of a death grant society. 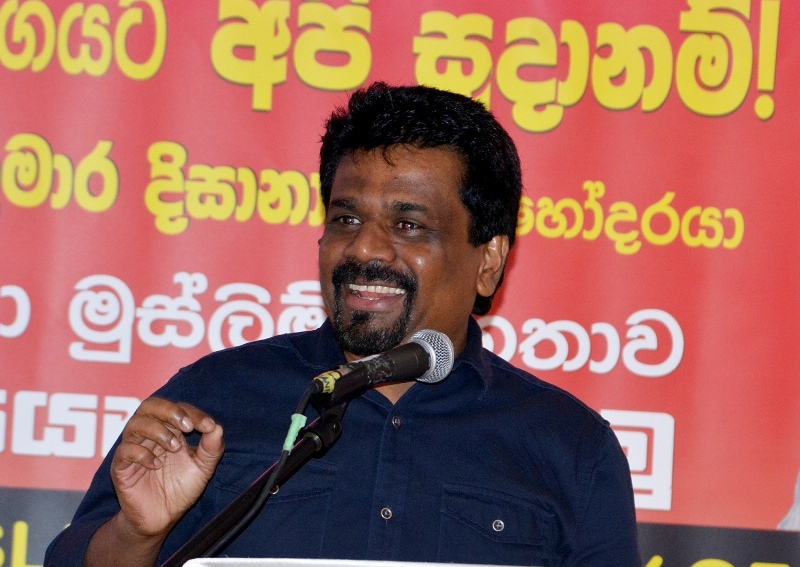 The Information Secretary of the JVP Parliamentarian Vijitha Herath addressing the media said, “Mr S.B. Dissanayaka says there was no chili powder attack on MPs. Bandula Gunawardene says a group in the public gallery threw chili powder. This indicates that there was a chili powder attack. The whole country knows who carried out the attack. Parliamentarians Bimal Rathnayaka, Sunil Handunneththi, Nalinda Jayatissa and Nihal Galappaththi too were present.